Don Warden - D. 3-11-2017 - 87 - Best known as Dolly Parton’s manager, played slide guitar with Dolly Parton and was a founding member of Porter Wagoner Trio - 2008 inductee into the Steel Guitar Hall of Fame. Jimmy “Louisiana” Dotson - D.3-26-2017 - 83 - heart attack - stroke and complications from diabetes - American blues guitarist for Antique Funk - also played with Aretha Franklin, Slim Harpo, and Albert King. Elyse Steinman - D. 3-30-2017 - cancer - guitarist and co-founder of Raging Slab. Paul O’neill - D. 4-6-2017 - 61 - chronic illness - founder of Trans Siberian Orchestra. Tim Alexander - D. 4-8-2017 - 65 - Keyboardist for Asleep at the Wheel, also worked with Elvis T. Busboy & the Blues Butchers, as well as Reverend Horton Heat, and Jim Suhler. Keni Richards - D. 4-8-2017 - 60 - Drummer for the band Autograph who had the hit song “Turn Up the Radio”. Kim Plainfield - 4-8-2017 - 63 - drummer - recorded or toured with The Pointer Sisters, Edgar Winter, Pat Thrall, Mose Allison and Didier Lockwood. Bob Wootton - D. 4-9-2017 - 75 - Johnny Cash’s longtime lead guitarist and member of Johnny Cash’s The Tennessee Three. Also worked as a tour bus driver for Smashing Pumpkins. Alan Henderson - D. 4-2017 - 72 - original member and bassist for Van Morrison’s Them. J. Geils (John Warren Geils) - D. 4-11-2017 - 71 - natural causes - formed the band The J Geils Band in 1968 and had the hits “Love Stinks”, “Freeze Frame”, and “Centerfold”. Toby Smith - D. 4-11-2017 - 46 - voracious illness - founding member of Jamiroquai. He played keyboards for the band till 2002. Bruce Langhorne - D. 4-14-2017 - 78 - The guitarist who inspired Bob Dylan to write ‘Mr. Tamborine Man,’ also recorded with Joan Baez, Gordon Lightfoot, Judy Collins, Tom Rush and Ritchie Havens. Matt Holt - D. 4-15-2017 - 39 - degenerative illness - former singer for Nothingface. Cuba Gooding Sr. - D. 4-18-2017 - 72 - found dead in car - the father of Oscar-winner Cuba Gooding Jr. who found fame in his own right with the 1972 hit “Everybody Plays the Fool” by The Main Ingredient. Cuba Gooding Sr.‘s own father fled Barbados and went to Cuba — hence the name of his son — before becoming a taxi driver in Manhattan. Calep Emphrey Jr. - D. 4-25-2017 - 67 - American blues drummer best known for playing in BB King’s Band. Colonel Bruce Hampton (Gustav Valentine Berglund III) - D. 5-2-2017 - 70 - Atlanta, GA - died after collapsing on stage during a concert in his honor - the stage was full of performers honoring Hampton including Jon Fishman (Phish), Chuck Leavell (Rolling Stones), John Popper (Blues Traveler), Peter Buck (REM), Derek Trucks and Warren Haynes. 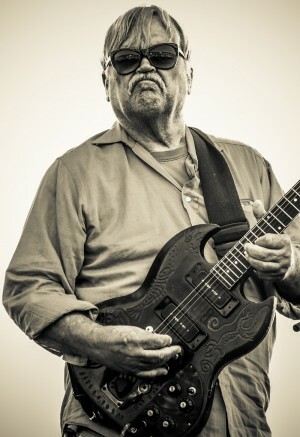 Hampton earned a reputation as one of the best jam musicians in the industry and was a founding member of the rock blues quintet the Hampton Grease Band and the Aquarium Rescue Unit. Hampton also appeared on early Frank Zappa albums.